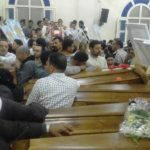 Egypt began seven days of national mourning after Islamist militants released a graphic video on 15 February, depicting the mass beheading of 20 Coptic Christians and a Ghanaian Christian in Libya. 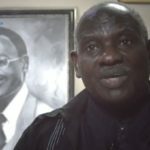 Originally it was believed that all 21 men were Coptic Egyptians, but on 25 February MidEast Christian News confirmed that one of the men was from Ghana. The identity of the only unnamed victim has now been confirmed as Mathew Ayairga who had travelled for construction work in Sirte. 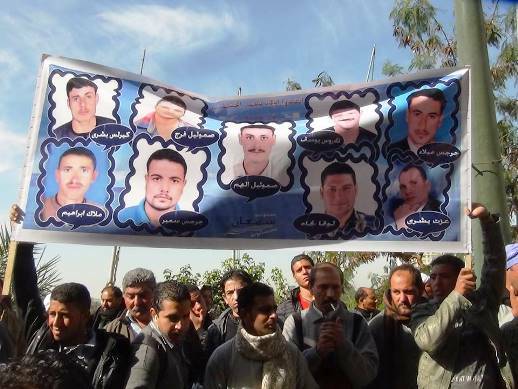 Twenty of the men, all daily labourers from Samalout in Upper Egypt’s rural, less developed Minya province, had been captured in two separate abductions on 29 December and 3 January by armed militants. The hostage-takers had first confirmed what religion was written on their I.D. cards, before taking the Christians hostage and letting the Muslims go free. One of the men, Luke Nagaty Anis, 27, never got to see his new daughter who was born while he was in Libya. 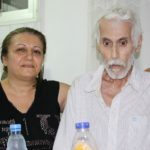 His brother, Shenouda Nagaty Anis told World Watch Monitor it was a big shock when they heard the news: “My mother was faint and our home was full of crying”. He described his pride in how Luke and also his cousin Essam both “kept their faith until the last moment”. Father Makar Issa, a priest from Al-Our village, described the screaming and wailing in the village as “extreme sadness among all residents”. He called on President Abdel Fattah el-Sisi and other political leaders to “do their best” to bring back the men’s bodies, to help with the healing process. Once the executions were confirmed by the Libyan Parliament later that day, the Egyptian Foreign Ministry promptly issued a travel ban against Libya. Speaking on national television, President Sisi condemned the IS executions as “an abhorrent act of terrorism.” Declaring that Egypt reserved the right to respond in any way it saw fit, he promised revenge. Swift retaliation began the following dawn, as Egypt’s military launched at least eight air strikes “to avenge the bloodshed and to seek retribution from the killers.” According to Egyptian state TV, 50 militants were killed in the bombings – targeting IS camps, training sites and weapons storage locations in Derna, Libya. Libyan warplanes also bombed targets in Sirte. At the end of the five-minute propaganda video, one of the executioners promised to “conquer Rome,” an apparent threat against nearby Italy, which has recently deported a number of known Islamist militants. Italian Foreign Minister Paolo Gentiloni had said on 13 February that his country was ready to join with a UN-led force to fight against Islamic State militants in Libya. “We cannot accept the idea that there’s an active terrorist threat only a few hours from Italy by boat,” Gentiloni told Sky TV24 television. According to Radio France Internationale, Italy is planning to send 5,000 troops to fight the rapid spread of Islamic State militias in chaos-ridden Libya. Warnings about this pending execution of the Egyptians, who had been kidnapped seven weeks ago near Sirte, Libya, had surfaced three days earlier in the Islamic State’s Dabiq magazine. Photos of the handcuffed captives showed them marching in single file or kneeling in orange jumpsuits, guarded by masked men dressed in black. 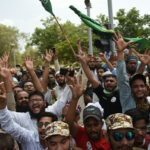 Already the executions have inflamed more fierce debates within Egyptian civil society, which has begun to condemn openly the extremist Wahhabi and Salafi theology taught in Al-Azhar University, Egypt’s leading institution of Islamic instruction. Eissa said the IS massacre was undeniably based on the religious ideology being taught in Egypt’s schools and Al-Azhar University itself. In a speech on 22 January, before the World Economic Forum in Davos, President Sisi stressed that it was the role of Al-Azhar to “purify” religious discourse to combat extremism, stating that Muslims needed to reform themselves. Its bishop in the UK, Angaelos refuted the charge of ‘Crusader’ Church, asking: if that was the case, how could the Copts have allowed the destruction of over 50 churches in August 2013, without retaliation. He said the Church would continue to respond with grace. Estimates of the number of Coptic Christians in Egypt are between 10-12 million, estimated at roughly 15% of the country’s population and they have been there for almost 2,000 years. 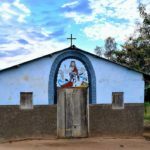 Many Christians from Minya have ignored their President’s previous warnings to leave their expatriate work in Libya, because their families rely on the remittances they send back from work in, for instance, the oil and gas industries. The Egyptian government has issued a payment of 100,000 Egyptian pounds (approx. $13,000) to the families of each of the executed men, and gave instructions that they should receive a package of free healthcare and education.